Chicago-bound plane makes emergency landing at McCarran Airport after bird strike on November 9, 2015. 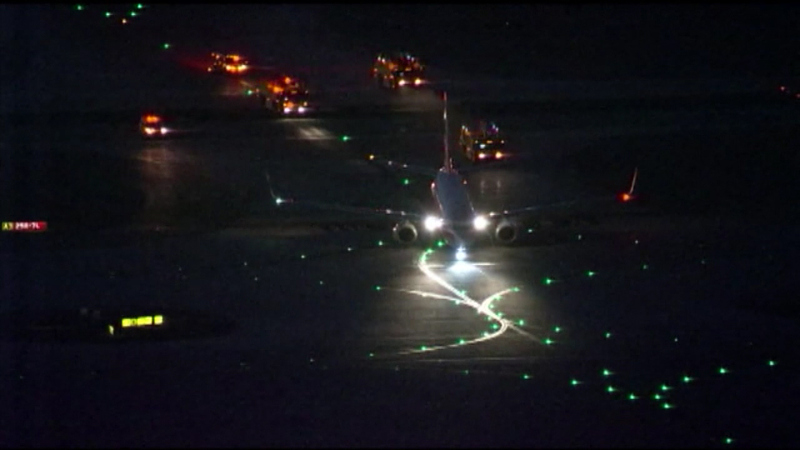 CHICAGO (WLS) -- A flight from Las Vegas to Chicago made an emergency landing after striking a bird shortly after take-off. American Airlines Flight 334 struck the bird about 15 minutes after taking off from McCarran International Airport at 5:15 a.m. Monday. The plane returned to the airport and landed safely; none of the 160 people on board were injured. McCarran spokeswoman Linda Healey said the airport found out about the bird strike at 5:31 a.m. and the plane landed at 5:43 a.m. The plane then taxied to the gate, but the Boeing 737 was taken out of service for maintenance. The 156 passengers were booked on other flights, American Airlines said. Flight 334 was scheduled to arrive at O'Hare International Airport at 10:58 a.m.